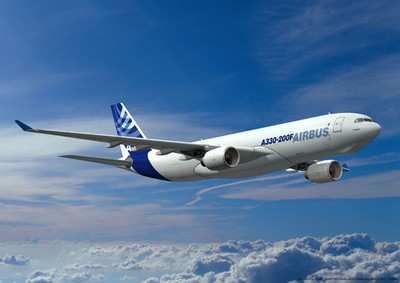 PRODUCT: All Airbus SAS Model A330- 200 Freighter series airplanes, Model A330-200 and -300 series airplanes, and Model A340-200 and - 300 series airplanes. SUMMARY: This AD was prompted by reports of cracked slat tracks at the location of the front stop attachment to the track. This AD requires a detailed inspection, repetitive special detailed inspections, and corrective actions if necessary. DATES: This AD is effective October 15, 2018. Detailed Inspection - 25 work-hours × $85 per hour = $2,125. Parts - $0. Cost per airplane $2,125. Special Detailed Inspection - 25 work-hours × $85 per hour = $2,125 per airplane per inspection cycle. Parts - $0. Cost per aircraft - $2,125 per inspection cycle. Reporting 1 work-hour × $85 per hour = $85 per inspection cycle. Parts - $0. Cost per aircraft - $85 per inspection cycle. Modification 49 work-hours × $85 per hour = $4,165. Parts - $8,150 per aircraft. Cost per aircraft - $12,315.